Tao Xiong loves anything related to civil engineering, from planning and design, to construction and maintenance. This summer, Tao’s taking part in a Mitacs Globalink research project of seismic proportions. He’s working under Professor Tony T.Y. 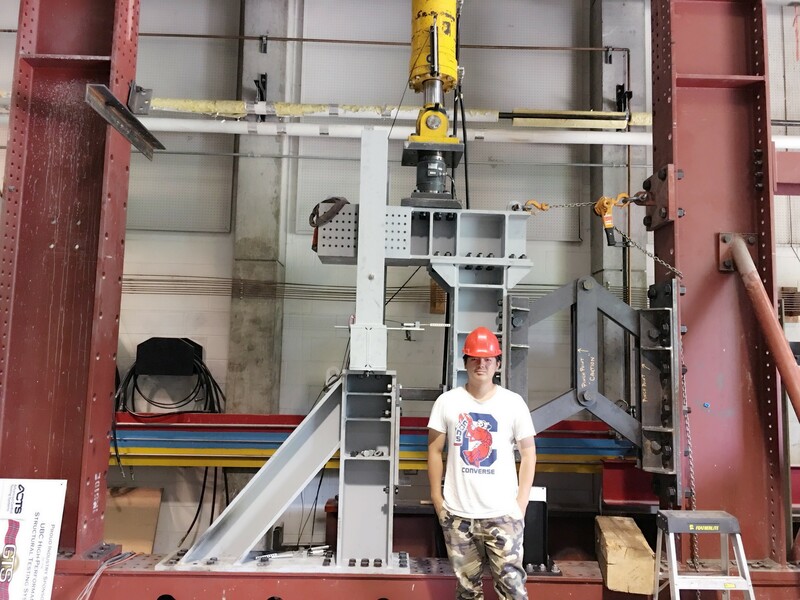 Yang and PhD student Fabrício Bagatini Cachuço in the Department of Civil Engineering at the University of British Columbia, in partnership with the Canadian Sheet Steel Building Institute. From there, he will work with researchers on designing a system that will better stabilize the buildings and their cranes during an earthquake. Eventually, the technology will be validated using experimental testing facilities. Outside of the lab, Tao’s been busy exploring the sights and sounds of Vancouver, including taking in an Ed Sheeran concert and kayaking in nearby Deep Cove. He’s also considering furthering his education because of his internship. “Before I came to Canada, I didn’t think about pursuing my master’s or PhD. Now that I’m here and working with graduate students, I’ve reconsidered the idea,” says Tao. Mitacs thanks the Government of Canada and the Government of British Columbia for their support of the Globalink research internship in this story. Across Canada, the Globalink research internship program also receives support from Alberta Innovates, the Government of New Brunswick, the Government of Newfoundland and Labrador, the Government of Nova Scotia, the Government of Ontario, the Government of Prince Edward Island, the Government of Quebec, teh Government of Saskatchewan and Research Manitoba.